Finally, Haynes are producing a workshop manual for the GT40. I think a lot of people have been hoping for this and it's due out in March according to the Haynes website. Wow, I can't imagine why Haynes would put out a GT40 manual. I mean, how many of those are they going to sell? I understand why they might put out a manual for a porsche boxster or a classic mustang or an old school mini.....but a GT40? I'm not complaining however....love to see it. Same reason they put out one for the spitfire, entertainment rather than to be used to maintain a spitfire. They do some very interesting things now, Red Bull F1 car/Starship enterprise/millemium falcon etc. Great for a conversation starter on the coffie table. Available at the local "O'Reilley's", or a special order? I tried to find a copy of Ronnie Spain's new book on GT40's at Books-a-Million. They didn't even list it as being in print. Interesting. How accurate is that Spitfire one? Would one guess that this will be accurate to the originals (or at least one of them since each were a bit different)? No, the cover says "J" and "Mk IV"
But do they cover Mk III???? No idea as to accuracy, the HBoL is hardly noted for that when its for a car however. They do loads of interesting ones, hopefully this Category - Aviation - Military Aircraft link works for the warplanes, 'manuals' from our Spitfire and Hurricane through the Lancaster and Vulcan. Then on to your P-51,F-4, F-86 and the B-17. Certainly one to add to the shopping list when it actually becomes available (only one site gets a hit from the ISBN and even that has a DB error). Accuracy isn't the focus of these books. Ive got a load of these historical Haynes books and they are really good coffee table books. 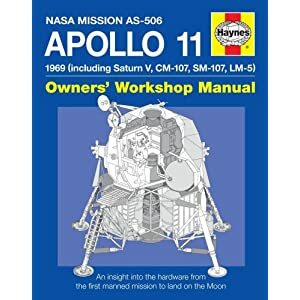 The apollo 11 one is a great book if your into rockets. They're nothing like regular haynes manuals though, just a historical reference book full of pics. I doubt there's anything in the GT40 one that hasnt appeared elsewhere but I'll certainly be ordering it when it comes out. Me too. Also have the Apollo 11 book they are great fun. I spoke to the people at Haynes last Monday at there main US warehouse in Tennessee. :veryangry: They said the new release date is now mid November 2012 available in the UK, hard to get in the USA. Recommended ordering from a UK vendor. Just to let you all know, this book has been delayed again ! Amazon.co.uk now quote delivery from Jan 8th 2013 onwards. In the scheme of things the J cars are in the GT40 Catagory. The J was just the predecessor of the MKIV, right?